Photo taken at the the Tent at Ngee Ann City open space. 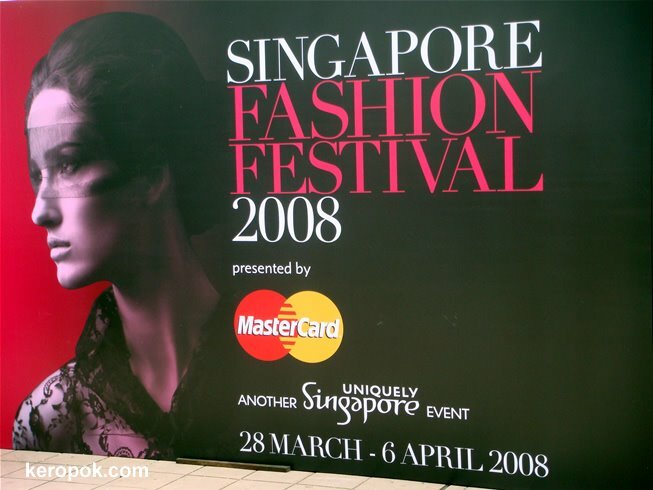 It's the Singapore Fashion Festival. I did not get to go in as I did not purchase any tickets. Maybe next time. I only got this poster at the perimeter of the tent. haha..
A fellow Daily Photo blogger in NYC has captures from the famous NY Fashion Week. Check it out! Beautiful billboard! Her face is full of emotions!